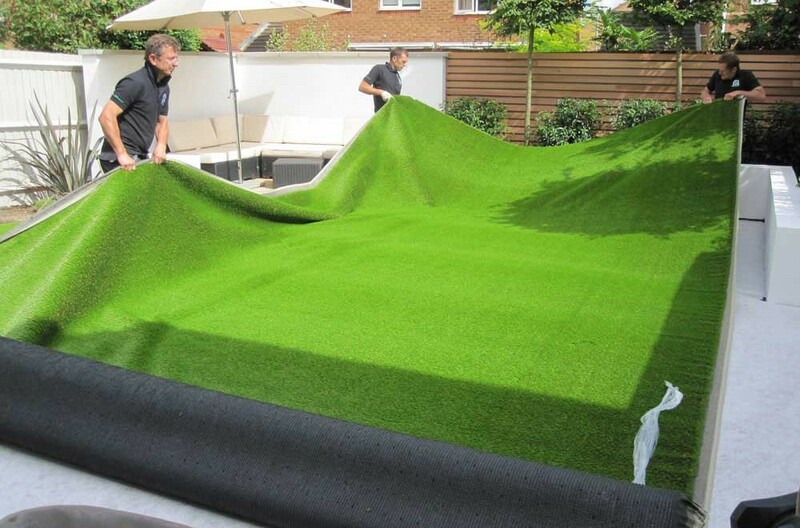 Artificial grass/ turf has seen a high rise in its popularity in recent years. With its easy maintenance and year round vibrancy, its easy to look after. One more advantage of artificial grass is that it is available in different textures and shapes, which can be fitted into any design. 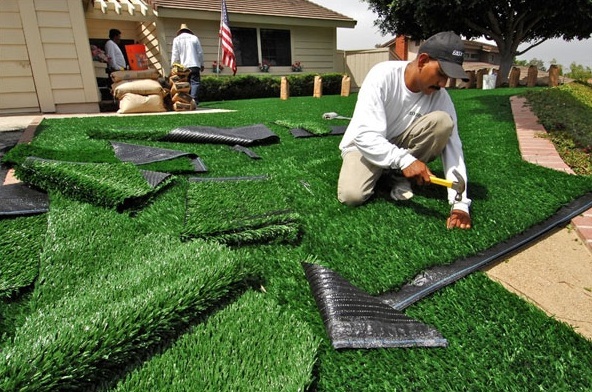 The first step in the installation process of artificial grass/turf is to clear the ground area of debris. A clear base is the most vital element for a long term run of the grass. This includes removal of rocks, gravels, plastics, etc. Time should be taken to ensure that the ground is clear of any remaining construction debris or other obstructions. The second step in the artificial turf installation process is to ensure that the installed product is at desired finished grade. This requires the initial base to be at approximately 3” to 4” below the finish grade. Any excess soil is removed and discarded depending on the current situation. The third step is to install ¼ minus crusher fine gravel to create a stabilized sub base. Crushed gravel is brought in and spread to create a base of approx. 3” thick. It is used to allow for the drainage. In this step the exact finish level of the grass as well as areas with improper drainage are determined. Now the base is compacted by the help of a roller or plate temper. To ensure proper compaction and to reduce dust, water is sprayed over the gravel. The main aim of this step is to achieve 90% – 95% compactness. The base is then given time to dry and consistently checked for any inconsistencies prior to proceeding. Here the artificial grass rolls are brought in and laid out. The grass must be laid out in the same directions due to the natural direction of the grass blades. Therefore, it is very important to thoroughly think about the layout before cutting begins. In this step the grass is trimmed and to fit in the yard. The product can be cut in any landscape whether it is a perfect square bordered by rocks or a winding path. The artificial grass/turf is secured by staking the edges with galvanized landscape spikes. The spikes are inserted along the seams and into the base at 6 inch intervals around the edges. Around 1 pound per square foot of rubber is spread out over the turf and filled into the base of grass blades using a power broom. The rubber fills up cushions the product. Use of rubber is less abrasive and is softer than using sand, which act as ballast to support the turf. A blower, broom, rake, or brush can be used to clean up the grass as well as water. So taking the above points into consideration, installing artificial grass is more beneficial than natural grass. Online Reservations-How It Is Done!